Florida will now have a female lieutenant governor and two women on the Cabinet. 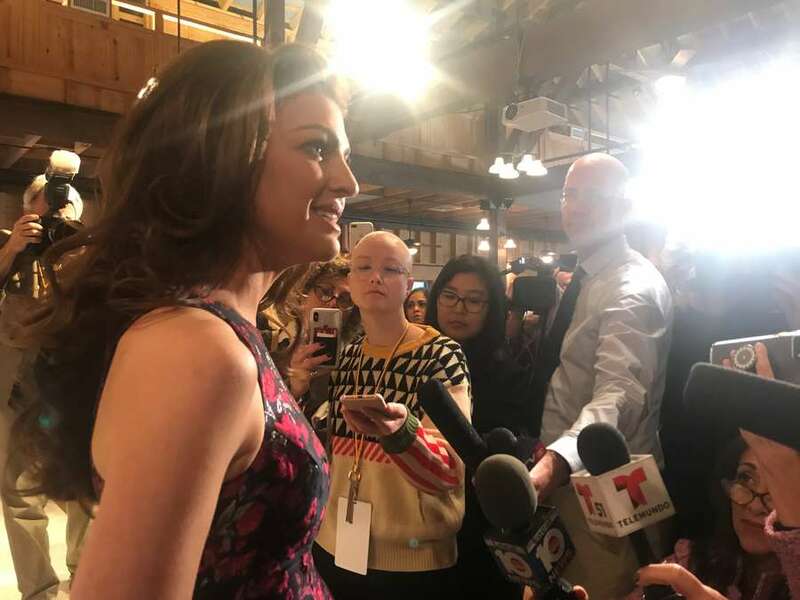 Two days of inaugural festivities were underway Monday morning up in chilly Tallahassee, starting with a ceremonial breakfast honoring Florida's female leaders that featured Lt. Gov-elect Jeanette Nuñez and incoming first lady Casey DeSantis. Nuñez, who is the highest ranking Hispanic woman in state history, talked about receiving the phone call from Gov.-elect Ron DeSantis, when he asked her to be his running mate shortly after he won the Republican primary. After term limits forced her retirement from the state House, she said she was looking forward to a "hiatus" from politics and considering a state Senate run in 2020. "It seems like my plans have now changed," Nuñez said, to laughs from the crowd. "I could have not been more proud to stand alongside (DeSantis) and tour our extraordinary state." Nuñez, who is widely admired for her effectiveness by insiders in both parties, was crucial to the campaign gaining traction with Cuban and South Florida voters. She spoke sweepingly about her vision for health care reform, increased school choice options, protecting the environment and improving Florida's transportation and infrastructure, but offered few details so far. Contrary to tradition, outgoing Gov. Rick Scott appointed more than 70 people to boards and committees across Florida on Friday, which some considered a rebuke to DeSantis' authority. When asked if the new administration would rescind any of those appointments, Nuñez would only say that they will "take a look at it" but added they did not have a "definitive plan." The event was attended by several of Florida's top female leaders from both the Rick Scott administration and incoming leaders, including Attorney General-elect Ashley Moody, State Board of Education chairwoman Marva Johnson, the incoming administration's Director of Communications Helen Aguirre Ferré, Agriculture Commissioner-elect Nikki Fried and Simone Marstiller, DeSantis' recent pick to lead the Department of Juvenile Justice. Several speakers also threw out praise to another woman crucial to the campaign: Susie Wiles, who has managed both the campaign and the transition. Casey DeSantis, who also spoke, said the First Family has been in the process of moving into the Governor's Mansion, which needed to be baby-proofed for their two children, Madison and Mason (who are both under 2 years old). "I was thinking about this beautiful, early 20th-century wallpaper. Orange crayon wouldn't look so good on that," she told reporters after the event. "We want to make sure people have the opportunity to see two young children growing up in the mansion — this is the first time this has happened in 50 years." Amid the applause of celebration and the sense of fresh blood, Casey DeSantis had one central message, that she offered tearfully to the volunteers and supporters: "We will not let you down."